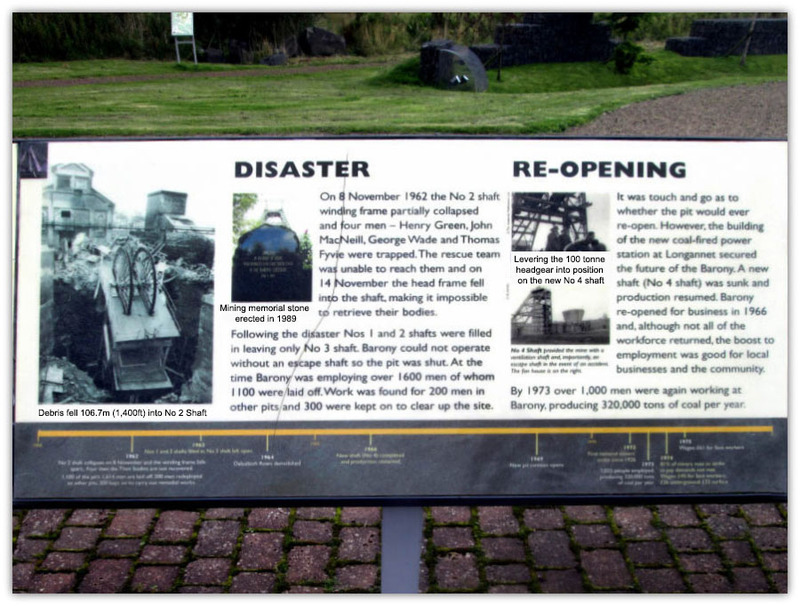 Disaster On 8 November 1962 the No 2 shaft winding frame partially collapsed and four men - Henry Green, John MacNeill, George Wade and Thornes Fyvie were trapped. 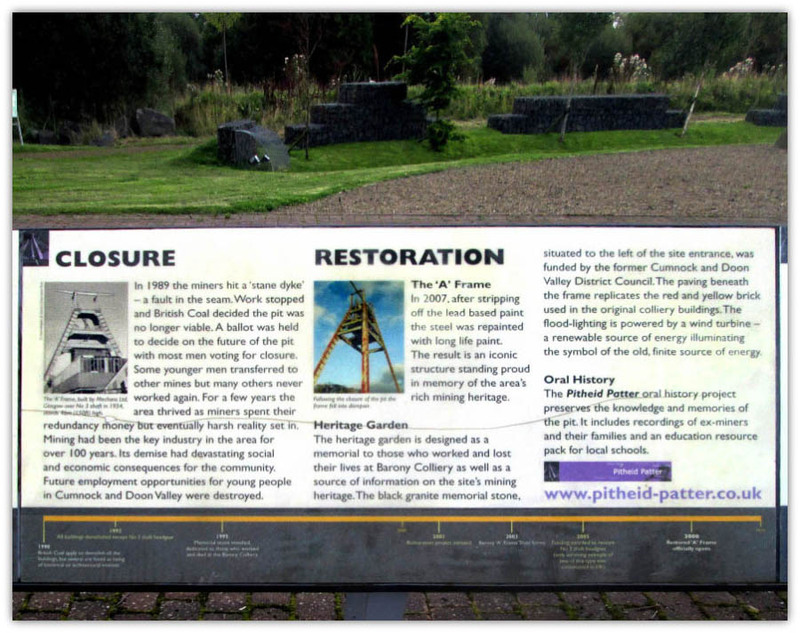 The rescue team was unable to reach them and on 14 November the head frame fell into the shaft, making it impossible to retrieve their bodies. Following the disaster Nos 1 and 2 shafts were filled in leaving only No 3 shaft. 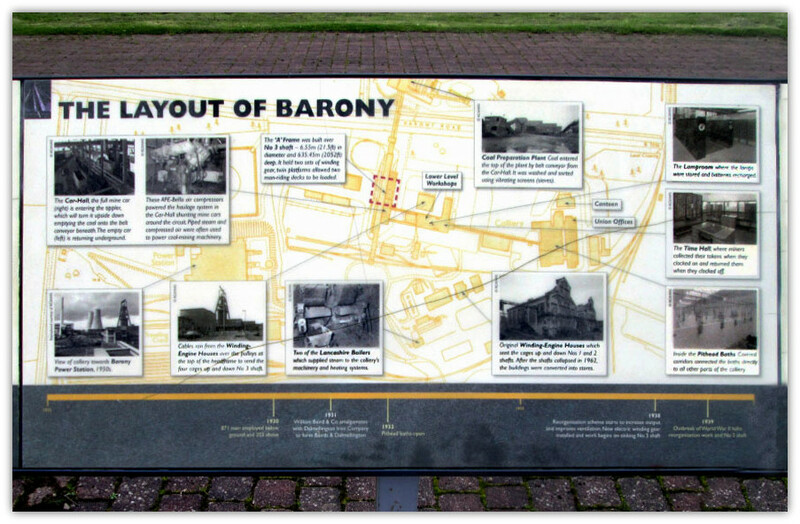 Barony could not operate without an escape shaft so the pit was shut. 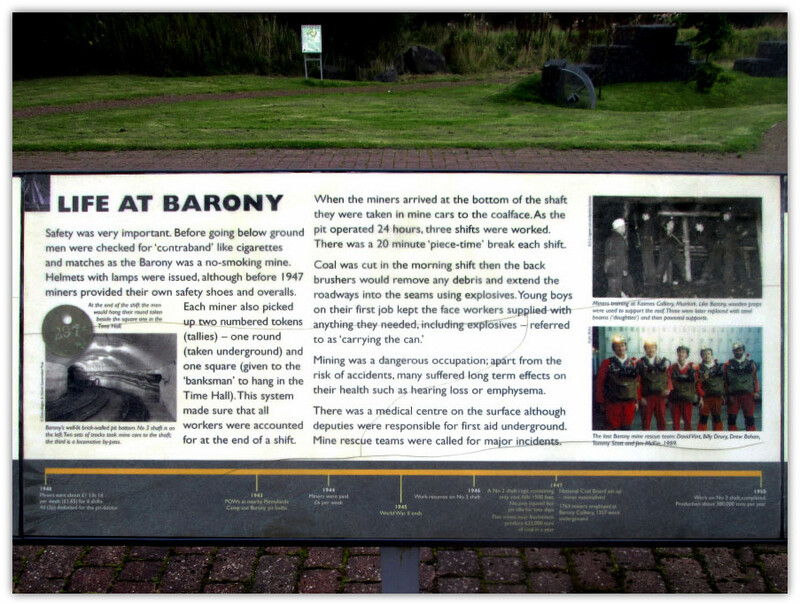 At the time Barony was employing over 1600 men of whom 1100 were laid off. 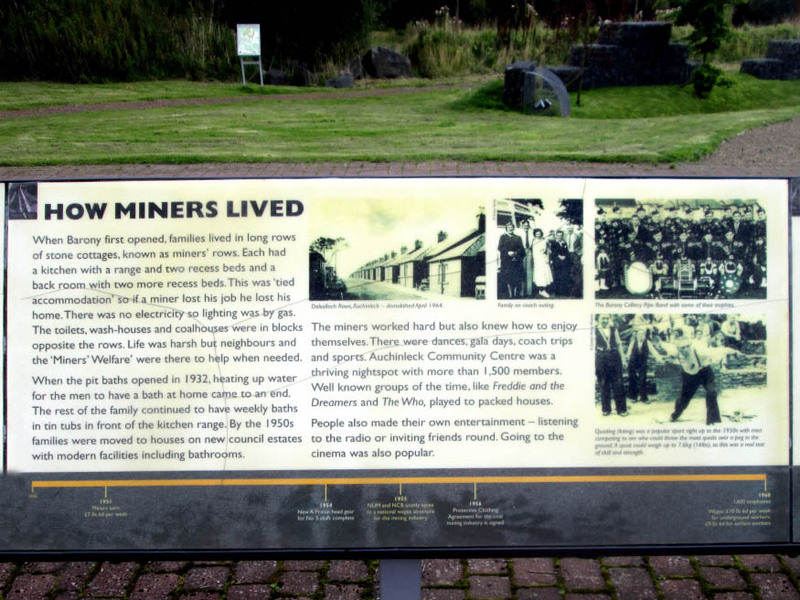 Work was found for 300 men in other pits and 300 were kept on to clear up the site. Re-Open It was touch and go as to whether the pit would ever re-open. 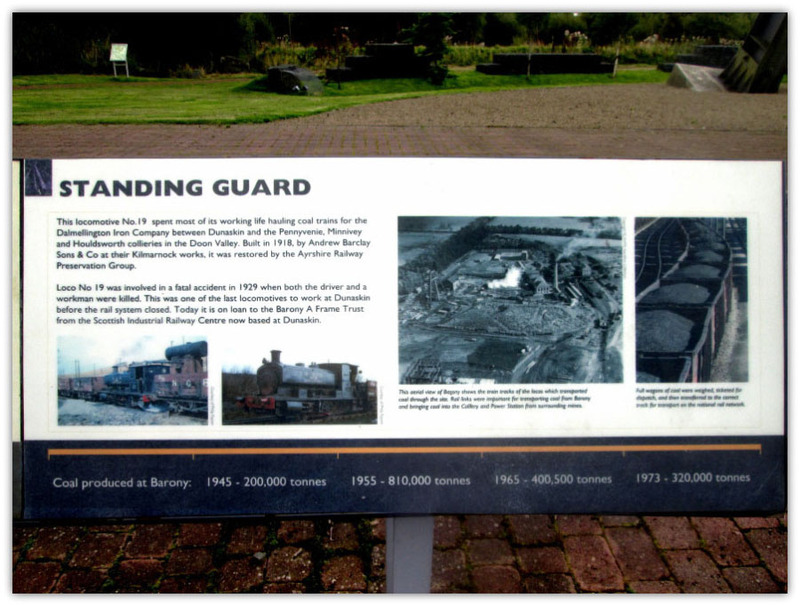 However, the building of the new coal-fired power station at Longannet secured the future of the Barony. 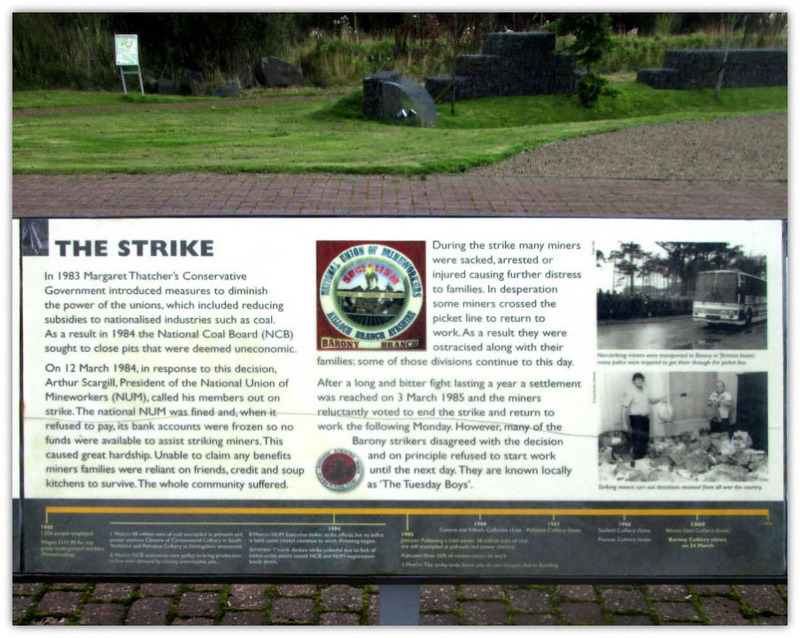 A new shaft (No 4 shaft) was sunk and production resumed. 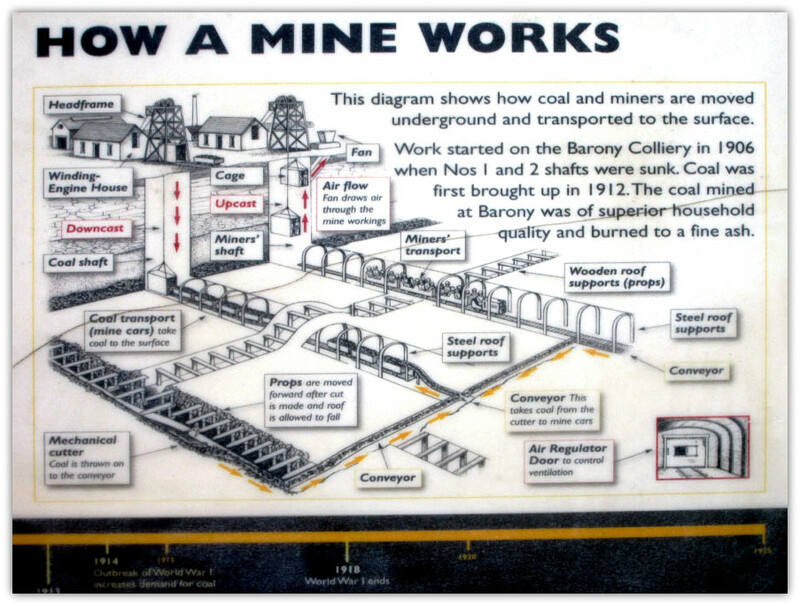 The shaft provided the mine with a ventilation shaft and, importantly, an escape shaft in the event of an accident The fan house is on the right. 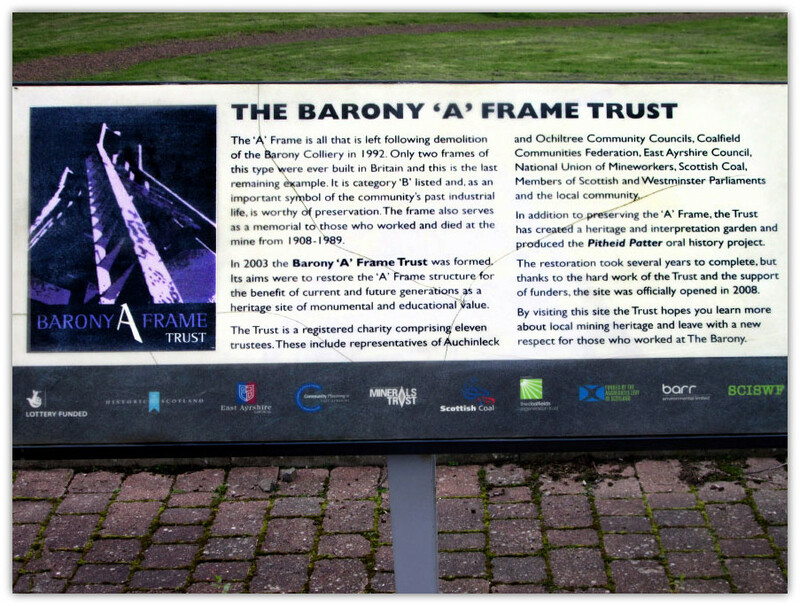 Barony re-opened for business in 1966 and, although not all of the workforce returned, the boost to employment was good for local businesses and the community. 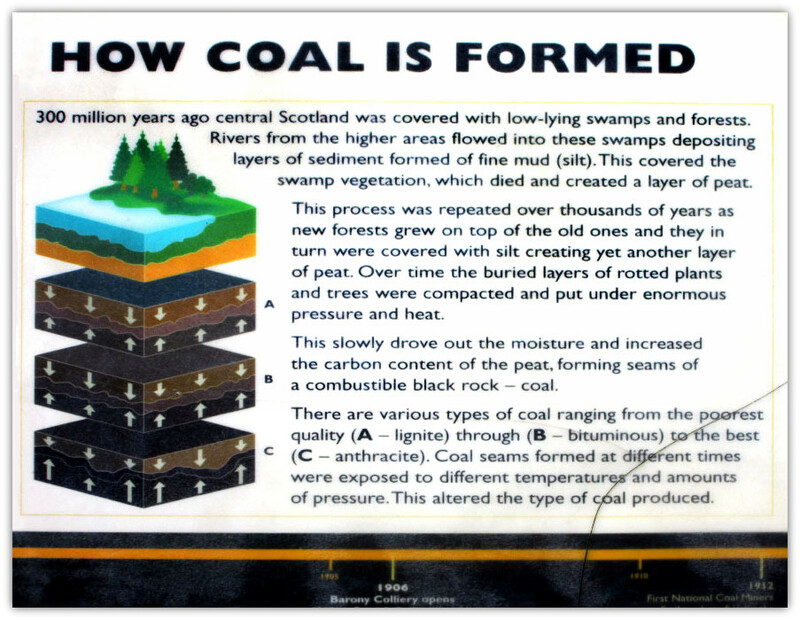 By 1973 over 1,000 men were again working at Barony, producing 320,000 tons of coal per year.